In the recent UNU-WIDER working paper no. 2012/18, “The Changing Dynamics of Foreign Aid and Democracy in Mozambique”, Carrie Manning and Monica Malbrough argue that the move towards providing aid in the form of budget support in Mozambique brought a greater coherence to the whole aid agenda and strengthened the capacity of state institutions, and thus improved governance in general in Mozambique. However, they posit that, paradoxically, this improvement in governance has come at the price of a weakening of the political processes and institutions that are required for effective democracy. 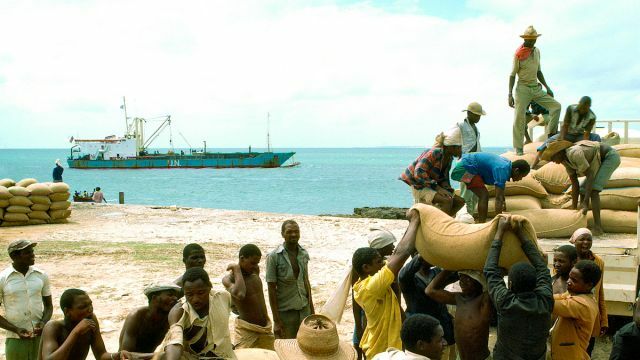 The key change in Mozambique’s relationship with its donors has been the shift away from project aid and towards direct budget support, which is now the most important source of aid money for Mozambique, accounting for nearly half of the state budget. Donors expect budget support to increase government ownership of the development process, to create mechanisms of mutual accountability between donors and the government, to bring about greater harmonization, co-ordination and information sharing amongst donors, and to unite donors in the support of a common goal. In the case of Mozambique this goal is poverty alleviation. Mozambique’s Poverty Reduction Strategy Paper (known by its Portuguese acronym PARPA) provides both the foundation for the government’s five-year poverty reduction plan and the framework around which budget support is structured. The shift to budget supports has had two important effects on democracy aid in Mozambique. First, it has influenced the kind of things donors are willing to support. In particular, it has reinforced a focus of the government in developing the capacity of the state to plan and manage public expenditure, which is key in achieving the poverty reduction goals set out in the PARPA. Governance as defined in the PARPA covers two broad areas: public sector reform and “justice, legality and public order”. Donors frustrated with a lack of transparency at the national level have recently begun to focus on public sector reform and capacity building at a local level. “Justice, legality and public order” covers the fight against corruption and the strengthening of monitoring institutions such as the Audit Court. Second, budget support has led to an increase in the coordination, monitoring and assessment of government performance amongst donors. This has helped to foster a strong relationship of vertical accountability between the Mozambican government and the donor community. However, it has not done the same for horizontal accountability within the Mozambican government or between state and society. While budget support has increased state capacity and helped Mozambique’s donor community find common ground, it has had a negative impact on some of the political aspects of democratic governance. As virtually all budget support is linked to the PARPA, whose overarching policy goal is to alleviate poverty, support for democracy has increasingly focused on those activities that can be directly linked to this goal. Consequently, electoral competitiveness, the National Assembly, civil society and competitive elections have all been relegated to the margins of the democracy-support agenda. 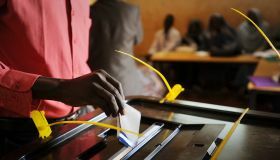 The 2009 general election in Mozambique suffered from a lack of transparency and from bureaucratic hurdles to vigorous political competition; thus it was perhaps the least-democratic multiparty election the country has ever had. 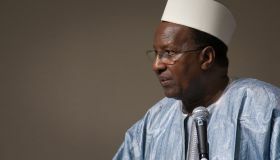 New electoral regulations, introduced by the government of the Frelimo party, had the effect of preventing many opposition parties from mounting an effective challenge. A number of Mozambique’s donors threatened to withhold previously pledged budget support unless the government addressed problems of transparency and governance, including electoral administration. The government eventually agreed to most of the donor demands. However political party competition remains a problem in Mozambique. The shift towards aid being delivered in the form of budget support has, in some respects, compounded this problem. As an incumbent party with a monopoly on every level of government, Frelimo controls this budget, which is nearly twice the size that it would be without donor support. This control combined with a lack of transparency about which government functions are funded by government and which are funded by donors leads to a bolstering of the government’s image in the eyes of the public and a consequent strengthening of the ruling party’s political position. The National Assembly in Mozambique is weak and is largely unable to serve as an effective counterweight to the executive branch. Part of the reason for this is that the PARPA document which sets out the parameters for government action does not set out any formal channels through which the national assembly can provide constructive criticism of the PARPA agenda. While the National Assembly formally approves the annual budget, the government is not required to provide specific information about donor contributions. This clearly undermines the transparency and accountability of donor funding mechanisms. In addition to this, direct aid to the National Assembly constitutes only a tiny part of the overall democracy- and governance-support budget. The shift to budget support has had a similar effect on civil society. Most of Mozambique’s main donors agree that strengthening civil society is an important component of increasing aid effectiveness and improving democracy. However, despite this, aid to civil society is a tiny part of donors’ overall portfolio. This is due to the fact that budget support requires the building of strong administrative capacity, transparency and accountability, and money has been diverted towards these goals at the expense of aid to civil society. The authors conclude that budget support has had both positive and negative consequences for Mozambique. On the positive side, it has increased state capacity, helped Mozambique’s donor community find common ground and, through the PARPA, provided a written framework around which government priorities can be organized. On the negative side, support to areas not covered by the PARPA — such as the media and civil society, political parties and elections — and the National Assembly has received less support. Thus, budget support has increased state capacity without providing support for the non-state actors required for democracy to function. The authors posit that given the weak opposition, flawed elections and executive dominance in Mozambique, the tradeoff between governance and democracy may be unavoidable. However, it is necessary to question whether in the long term governance, both in terms of effective spending and government alignment with the interests of the public, can be sustained without effective democratic institutions. This report by James Stewart summarizes UNU-WIDER working paper no. 2012/18, “The Changing Dynamics of Foreign Aid and Democracy in Mozambique”, by Carrie Manning and Monica Malbrough. It originally appeared in the May issue of the WIDER Angle newsletter.